Originally a part of Western Skyways Turbine Inc., Rocky Mountain Turbine Services was founded as a better way to help our customers differentiate between Western Skyways Inc. and our turbine engine division. Rocky Mountain Turbine Services specialize in all models of Pratt & Whitney PT6A and JT15D engines. 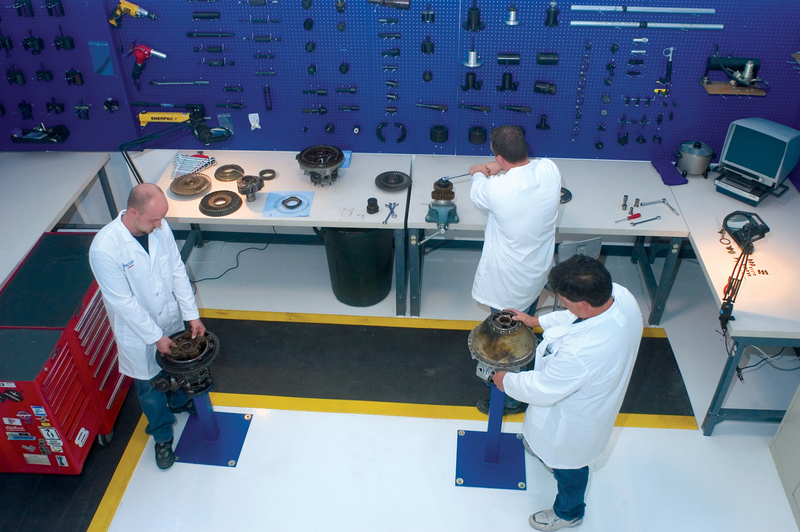 One service that we have to offer our customers are our PT6A hot section inspections. At Rocky Mountain Turbine Services, we abide by a “one man/one engine” philosophy. This means that when an engine comes into our shop for a PT6A hot section inspection, that same mechanic stays with the same engine from the beginning to the end of its services. Trust our experienced professionals to perform your next hot section inspection. For more information on the PT6A hot section inspection services we have to offer, please contact Rocky Mountain Turbine Services today at 970-252-0864. You can also reach out to any of our inspection and repair specialists by simply filling out the request form located on this page. A PT6A hot section inspection done to primarily examine the key engine parts on your aircraft. This includes the turbine blades, combustion chamber compressor turbine disk and other vital pieces. Hot section inspections can be done on-wing by one of our experienced mechanics. A hot section inspection should be performed at the halfway point of time between overhauls. Basically, what this means is that if your time between overhauls is 5,000 hours, you should likely get a PT6A hot section inspection at 2,500 hours. Our trained and experienced mechanics are recognized as an FAA Authorized Repair Station and can perform any hot section services that you may need. At Rocky Mountain Turbine Services, we offer PT6A hot section inspection services to ensure that your aircraft engine continues to deliver power and high performance. A hot section inspection can also help reduce maintenance costs because they can catch potential issues before they cause problems. To learn more about how a PT6A hot section inspection can benefit your aircraft, please call Rocky Mountain Turbine Services today at 970-252-0864. Customers may also get in contact with any of our helpful associates by completing the easy-to-use form on this page.